Fort Irwin is located approximately 37 miles northeast of Barstow, California midway between Las Vegas, Nevada and Los Angeles, California. The High Mojave Desert's hills and mountains surround the installation. Natural vegetation is sparse and mainly consists of mesquite, creosote, yuccas, and other low growing plants. Beautiful sunsets, blue skies, sunny days and wide-open vistas are some of the pleasures of the desert that give many a sense of freedom. However, expect the primary colors to be tan and brown. For those needing to see green, Big Bear and Lake Arrowhead are two hours away providing tall trees and lakes. The base operator's phone number is 760-380-3369, DSN 312-470-3369. As a part of the U.S. Army FORSCOM, Fort Irwin provides realistic joint and combined arms training focused on developing soldiers, leaders, and units of America's Army for success on the 21st century battlefield. Additionally, the NTC provides a vital source of experience based information and data essential to doctrine, equipment, training and force development in order to improve the force. 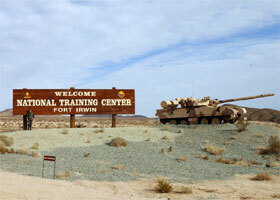 The NTC conducts 10 training rotations per year. Soldiers assigned to the 11th ACR and Operations Group can expect to spend several days per month in the field. 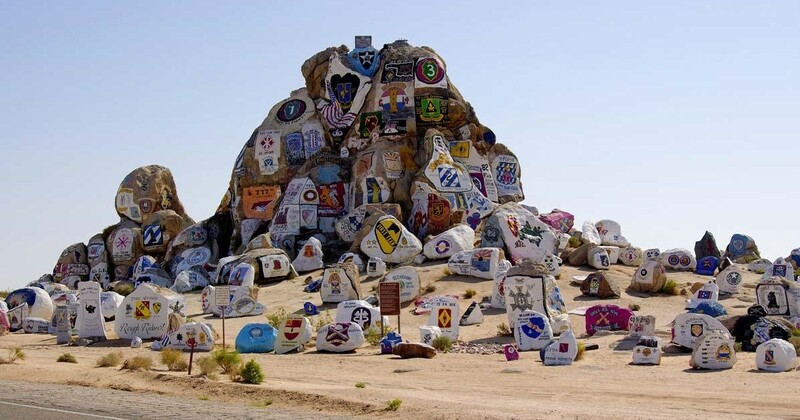 Because Fort Irwin is a fairly small community, people living here get to know their neighbors. After a short period, visits to the commissary and Post Exchange (PX) are usually accompanied by a series of friendly "hellos." Children often live next door to their schoolmates, play on the same sports teams, or go to daycare together. Fort Irwin maintains a small town atmosphere with town hall meetings and other community forums, even though 4,000-5,000 soldiers from other installations rotate through the NTC each month. No listings found for Fort Irwin.